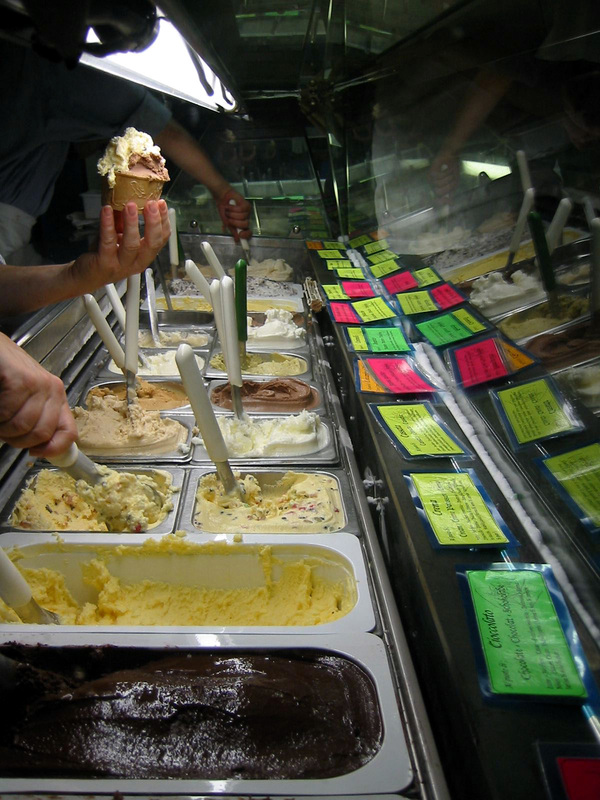 Great ice cream is being served at Via San Quintino 31. This is a traditional, sicilian ice cream maker. That place is so crowded that the counter is organized like your local registration office. On entry you take a ticket with a number and then you wait until your number is on display. A friendly crowd of nice ladies is at your service on three counters at the same time. Never seen an ice-cream shop so busy. My recommendation: Granite, which is basically flavoured crushed ice. You get it in all colors. I chose coffee and lemon (one after the other, of course) and I can understand why this place is as popular as it is. And it‘s open until 1 in the morning.